As preparations continue to launch EiF’s unique Galactic Civil War system, the team is proud to announce one final round of testing: the week of war. The GCW system, as written, has plenty of moving parts, and the team simply cannot test everything to the extent necessary before rolling the system out in its entirety. Of major concern are the planetary invasions, which are the heart of the system – epic battles in which factions can seize control of enemy-held planets. These planetary invasions are built from the same core, but each planet has its own customizations. As such, they need to be individually tested to ensure everything works as expected. To facilitate this final testing, the EiF team is hosting a week of war. Starting April 23rd and continuing through April 29th, the live server will have a planetary invasion every day. The Monday through Friday invasions will take place at 9 PM EST, which is currently the planned time for events in the final system. The Saturday and Sunday invasions will take place at 3 PM EST to allow European players to participate at a friendlier time. Participating in the GCW system this time around will net players War Fame, which will be used to purchase reward items once the entire system is live. GCW live system rewards include armor, weapon, house, and speeder schematics, as well as a few new surprises. The rewards won’t be available yet – the awarded War Fame will be banked for future use. 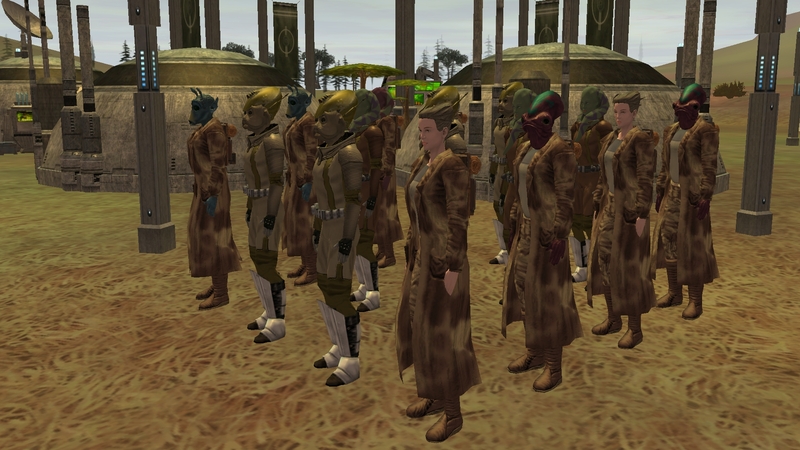 Yavin 4 and Dantooine are considered adequately tested at this point due to external and internal testing; Taanab, on the other hand, has gone through multiple iterations since the first event and needs to be retested with the new code. Join us for the week of war, April 23rd – April 29th! Due to unexpected circumstances, we patched early this morning, and as a result a few things haven’t made it in. We’ll have a follow-up patch later this week. *Armor can now accept armor attachments. These need to be crafted into the armor at final assembly (e.g. when a fully-crafted armor core is inserted into the final armor appearance piece). *Armor can accept one attachment per piece. *Armor and clothing attachments now display their stat modifier in the name of the attachment itself. This change is retroactive, but attachments listed on vendors must be pulled into inventory before they will update with the new name. *Bioengineered pets have gotten a substantial boost. Talk to your local BE and see what she can do for you! *High-end bounty hunting missions can now drop schematics for bounty hunter armor pieces. *High-end bounty missions now have a smaller chance of dropping junk. *Factional cloning implemented for invasions. 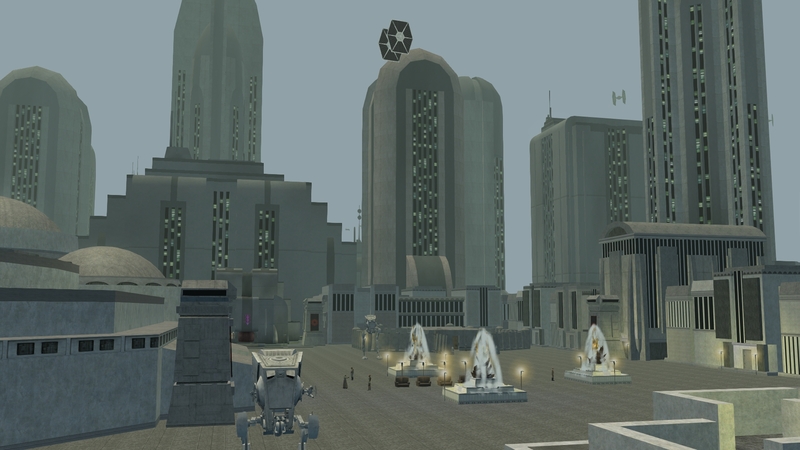 Defenders will be able to clone at a city’s cloners. Attackers can only clone at base camps. *City cloners will revert to neutral status after invasions end. *Cloning at a factional cloner always incurs wounds. *Neutral players may clone at a factional cloner, but will incur wounds. *Triple-incap death from a player no longer incurs decay. *Death from a factional NPC while overt no longer incurs decay. *Combat walkers can now only be controlled by correctly factioned players. *Combat walkers now protect their pilots from incoming damage. *Combat walkers can now only target enemies in front of them. *Combat walkers no longer move or shoot without a pilot. 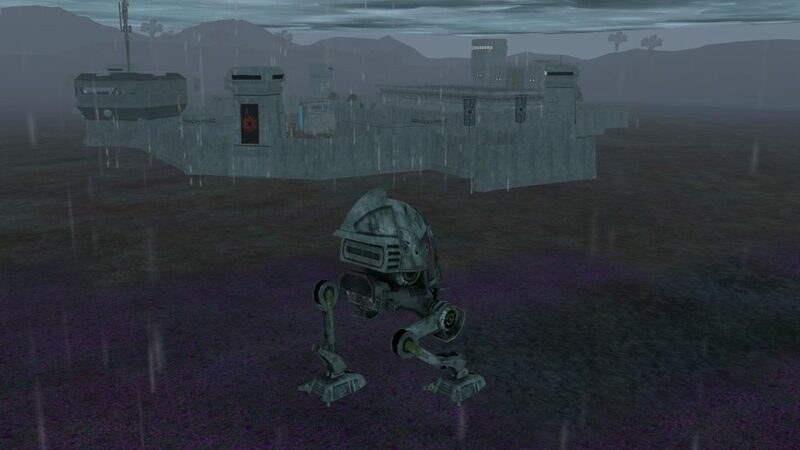 *Combat walkers now automatically dismount the pilot upon destruction. *Combat walkers no longer use the rifleman speed modifier to calculate time between shots. *Players can now use /requestLeave to set their factional status back to “On Leave” without talking to a recruiter. The time necessary to go to on leave status is dependent upon the player’s factional rank, with higher ranks taking longer to go on leave. *Rotate left/right commands now work as before (in addition to the improved yaw/pitch/roll commands). *Rotate left/right on the radial menu is again functional. *Added lootable items and schematics for previously unattainable decorative items. *Flash speeders and flash speeder deeds are again no-trade. *Weapon decay has been increased. Decay for carbines and rifles has been rebalanced. *NPC resists rebalance is approximately 50% complete. Please provide feedback on new resists to Anishor. *Players can now use the /rattle command to speak on behalf of their pets! By targeting a pet and using /rattle followed by text, a player can make their pets speak whatever they’d like. This function is currently restricted to droids and NPC followers. *Admin characters can now use the /rattle command to cause any creature object in the game to speak. *Armor effectiveness slice has been adjusted to allow a slightly higher cap. *Newsnet terminals in starports now have additional functionality. The information on the terminals is updated realtime from the website. Check the terminals for patch notes, GCW headlines, and information on upcoming events! Disclaimer: All systems described here are subject to change during development and testing. 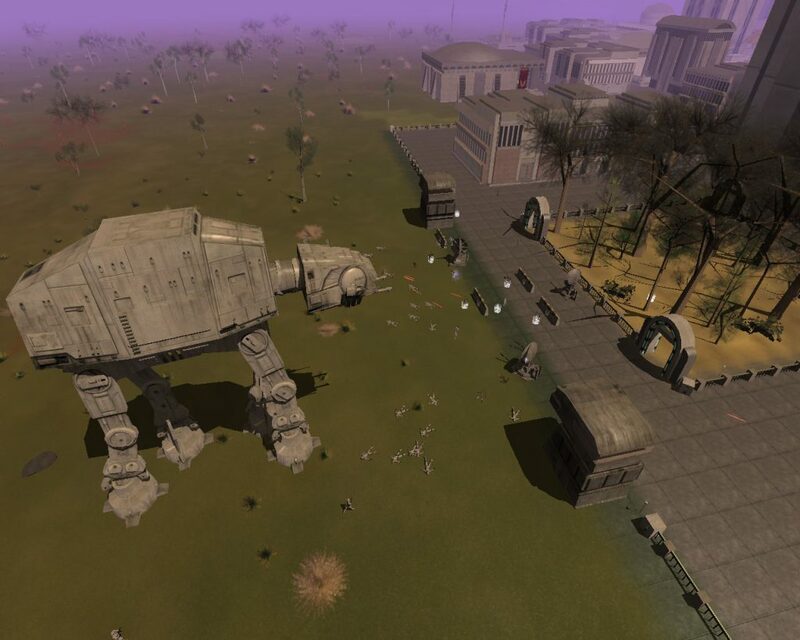 The Galactic Civil War is a core design for Empire in Flames – it is one of the earliest systems the team designed, though development of it was pushed back to post-launch due to the scope of changes the EiF team has wrought. Especially of concern was ensuring combat was in a better place than SWGEmu – and, given the most recent balance pass, it definitely is. While we will continue to make tweaks going forward, we have a stable foundation to build upon, with relatively balanced combat skills, a fully-functioning core crafting system covering all weapons and armor, and a housing system encouraging player cities. A system that encouraged large events, rather than a system that discouraged engagement. 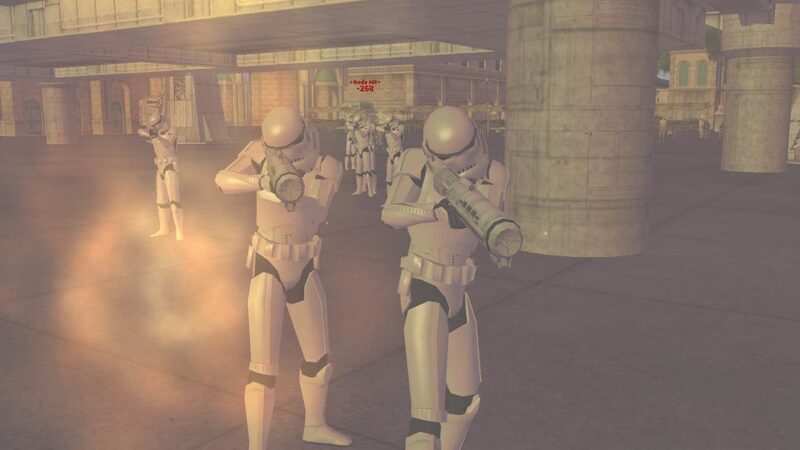 A system that encouraged PvP. 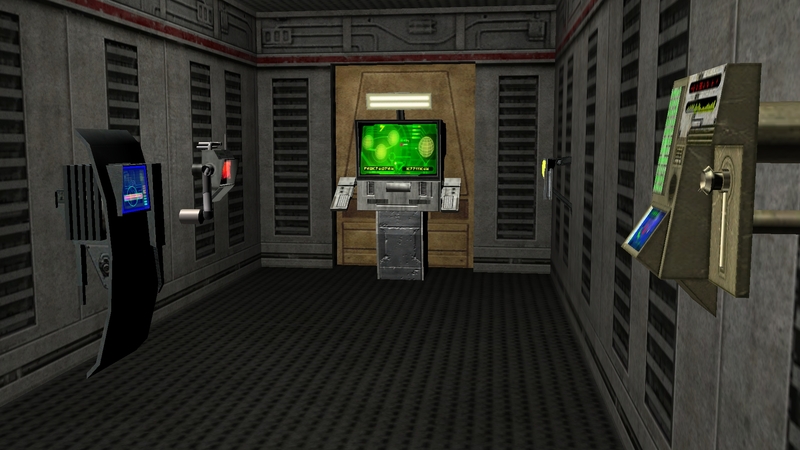 A system run by the players. This Friday Feature is focusing on point #3 – player control. To recap, the Galactic Civil War is based around planetary control. Planetary control is determined by planetary invasions. The big missing chunk is obvious, then: who determines what planet a faction targets? 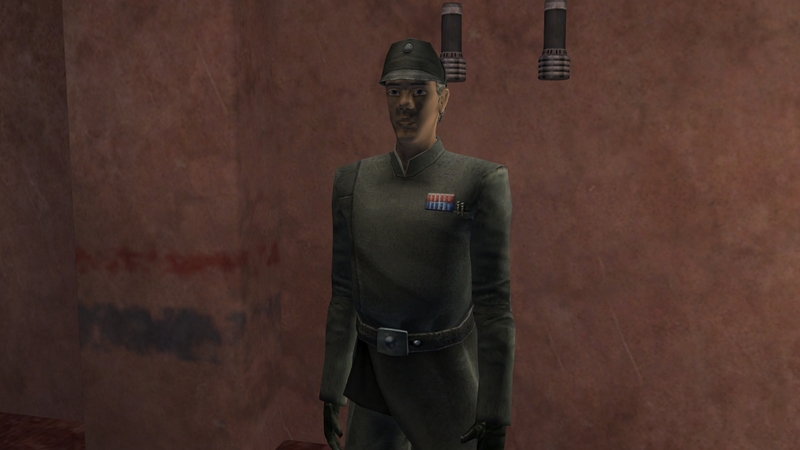 Ultimately, we wanted control to be in the hands of the players – the best systems in SWG always involve the players as deeply as possible. But what is the best route to take to get to that point? We could give only high-ranked players a voice – Imperial and New Republic colonels, perhaps? But every player in the game can reach that rank, and it’s not a particularly time-consuming investment to do so. Guild leaders, then? No, because any player could form a guild just with his own characters to get a voice on military matters. City mayors, perhaps? Now we’re getting warmer – after all, mayorship requires support from the citizenship…sort of. Two players can found and maintain an outpost with just a little work. But we’re on the right track. Ultimately, we decided to tie it to the Politician profession. It doesn’t require skillpoints, but it does require support or a lot of time to level. It almost certainly requires support and interaction with the community to do anything with. 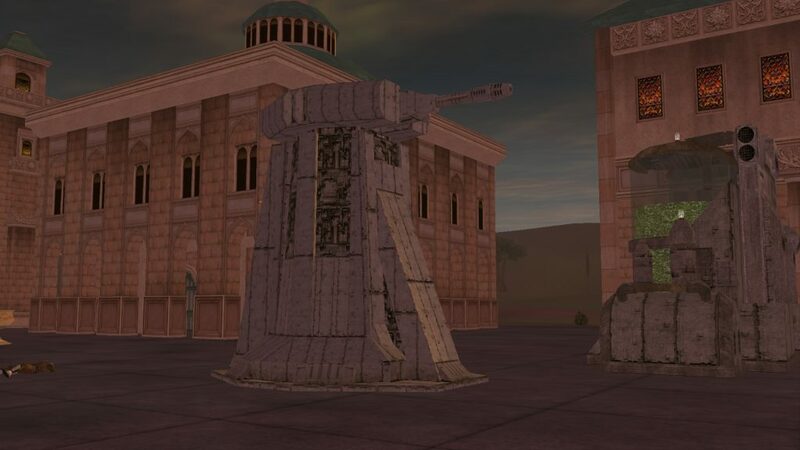 With that in mind, we knew the server had to have established itself, with player cities, elections, and citizens before we could roll it out. And now Empire in Flames is established as such. But what about the nuts and bolts of such a system? 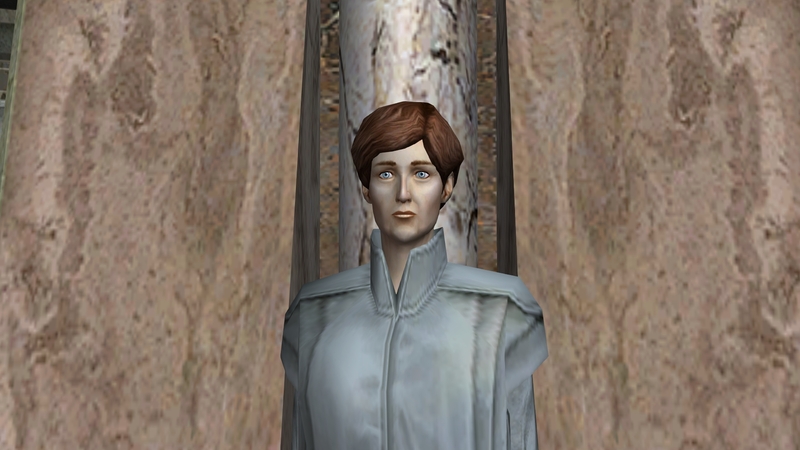 The Chancellor’s voice rang with the clarity of a bell in the New Republic Senate on Chandrila. Her words echoed her discussion with Crix Madine days earlier, and were underpinned with conviction. “The transition from Rebel Alliance to New Republic has not been an easy path. We are no longer concerned only with overthrow of an illegitimate, despotic government, but with governing the worlds within our sphere of influence in a just manner. “While the Emperor ruled with an iron fist, issuing decrees as he saw fit, we must represent the will of the people. And I believe we have during the years of our government-in-exile. Even while we conducted war, we planned for peace. We offered aid where we could, enforced law when we were capable, and protected the citizens whenever possible. 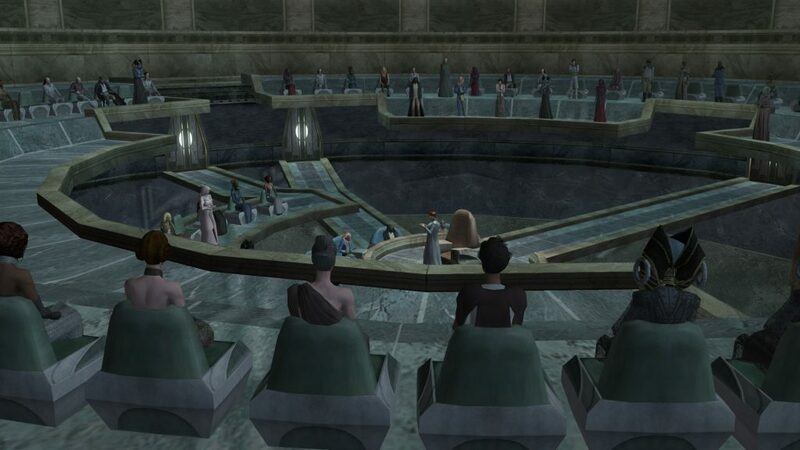 As with city elections, New Republic Senate and Imperial Council elections will be held regularly via in-game voting to select the leadership for their governments. These elections will soon be available at city voting terminals, and will be rolled out shortly before the GCW hits the live server. To register to run for high political office, a character must be of the appropriate faction (New Republic or Imperial) and a citizen of the planet where he seeks to run. The character will register at his local city hall, but the character’s name will subsequently show up on all voting terminals on the planet. To vote, a player must be a citizen of a city. Players who have, for various reasons, citizenship outside city limits will not be able to run for high office, nor will they be able to vote for candidates. Only politicians are able to run for the Senate or Council. The New Republic Senate requires the Statesman title – 0040 politician. The Imperial Council requires the Warmaster title – 0400 politician. Characters do not have to be a mayor to run for high office. High office elections are scheduled monthly. Once in office, officials will have votes once per week to determine their faction’s next GCW target. In the event of a tie vote, the body is considered “deadlocked” and the faction will forgo their turn at an offensive assault. Moff Maksim’s voice was rich and calm, hiding any discomfort so deeply that Rae Sloane couldn’t find trace of it. “Ashamedly, our great Galactic Empire has fractured with the death of our beloved Emperor. Too many of our military leaders have chosen the path of conquest, turning their guns on fellow soldiers and citizens and declaring themselves rulers of territory. “Those few members of the Emperor’s court who have chosen to attempt governing have proven inept, losing further support of the both military and citizenship – even driving some worlds into the hands of the Rebels! “Now is the time to turn this tide of treachery and defection. I call upon the loyal sons and daughters of the Empire to select leaders among yourselves – those who have known both war and peace – to step forward and take up the reins of government of the Empire.